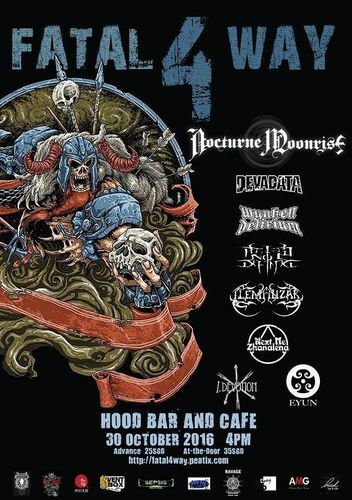 Annual Fatal 4 Way Tour organize by TFHM Productions with host Vent Box Productions for Singapore. In collaboration with Xoundforce Music Entertainment. Event brought to you by TFHM Productions & Vent Box Productions. Supported by Xoundforce Music Entertainment.